NEPAL. Kathmandu. 2006. 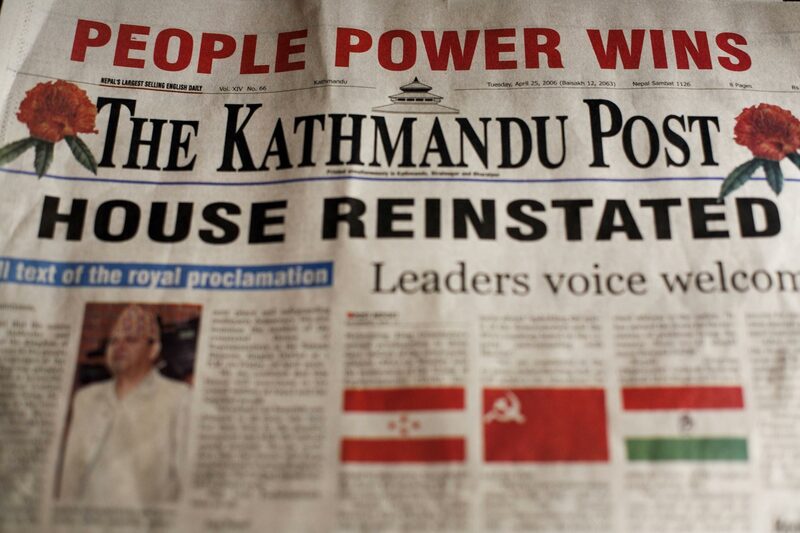 The front Page of the Kathmandu Post, the day after the King makes the first concessions to the people's movement. Within a short time, most of his political powers were removed.